As a blogger I am lucky enough to try the newest and greatest products to review for you. All of the beauty products I normally share with you have been press samples for my consideration, except for today. I ran out on Friday night to my local drugstore and bought the L'Oreal True Match Lumi Cushion. 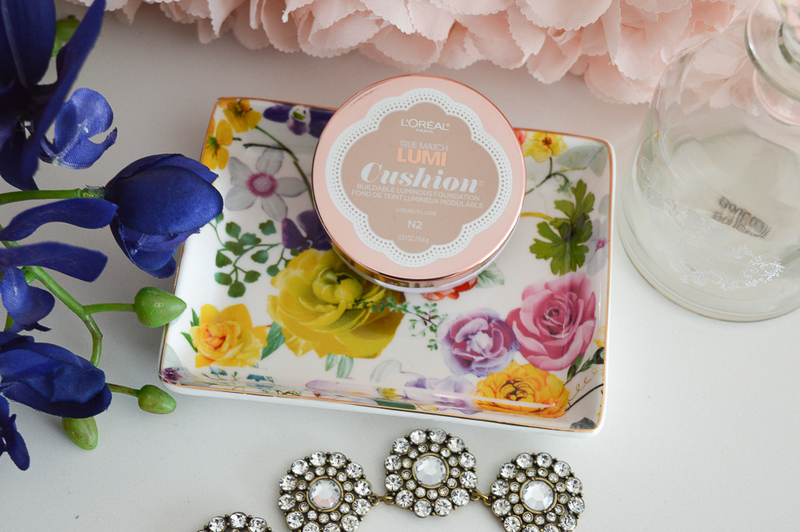 I had read about the Lumi Cushion on my friend Courtney's blog called La Belle Sirene. I am lucky enough to call Courtney a friend and I asked her personally if she felt this product would be a good fit for my skin, as she has done my makeup in the past, and she said,"it's amazing, go get it". Off I went to my local drugstore, and found it on one of the pop-up new release stands. The first thing I noticed about the Lumi Cushion is it's gorgeous packaging. The circle shape has a lot of vintage inspiration with a rose gold lid and a feminine label. 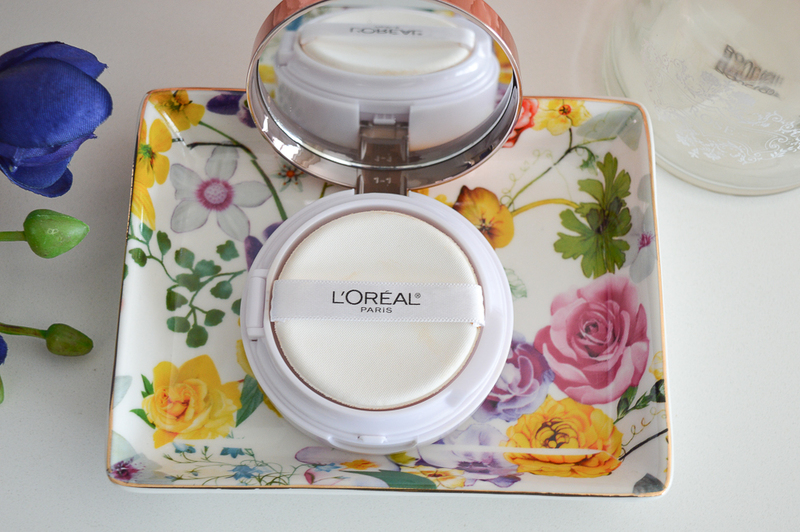 The shape of this product is similar to that of a pressed powder compact shape. 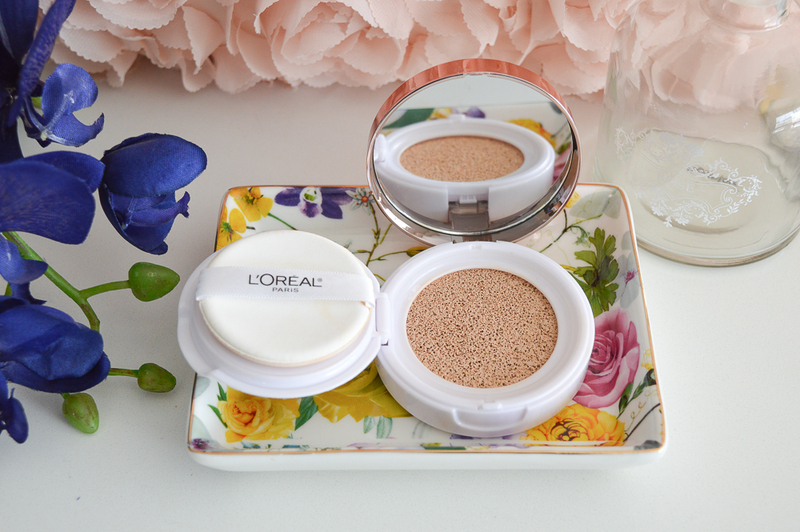 Cushion foundation compacts are presently all the rage in Korea and slowly we are starting to see more and more arrive in North America. 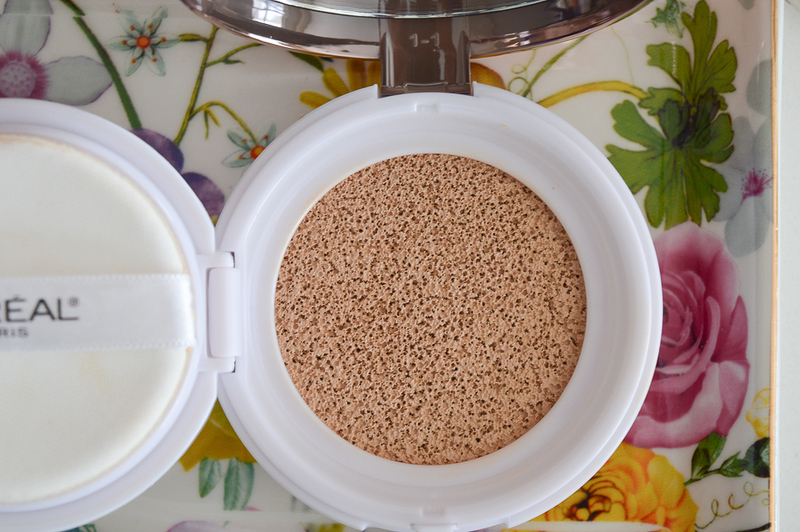 Inside the cushion compact is an applicator puff, and the cushion. The cushion is actually a sponge that has been soaked in foundation. You use the applicator puff and press into the cushion sponge, and then use the puff to press the foundation onto your skin. When you open the Lumi Cushion you will see the applicator puff. The puff sits in a separate section, and under this section is the cushion foundation. The cushion really does look like a sponge that has been soaked in foundation. This colour is N2- or classic ivory. This was the only tester that was open at the store ( I wish there was other shades to test), and I was just happened to be lucky that this shade was a good match for my skin. When applying this product be careful to not press too hard into the cushion as you will soak up too much product. I love how easy this product is to apply and that it is build-able. 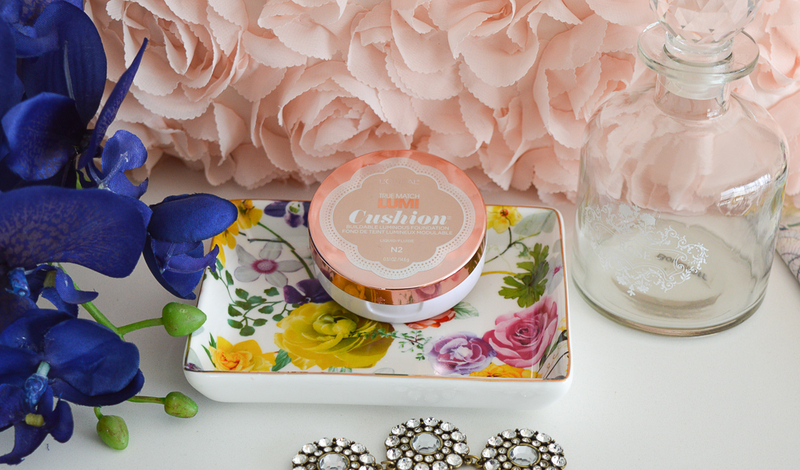 The Lumi Cushion gives my skin a lovely glow and I find the product dries quite nicely on my skin. I love the luminescent look it gives my skin. This product provides light to medium coverage, and the applicator puff makes it easy to get into those areas on your face that need some extra coverage. I can not tell you how much I love this product, it is rare that I ever buy foundation from my local drugstore because I have not had the best results in the past. 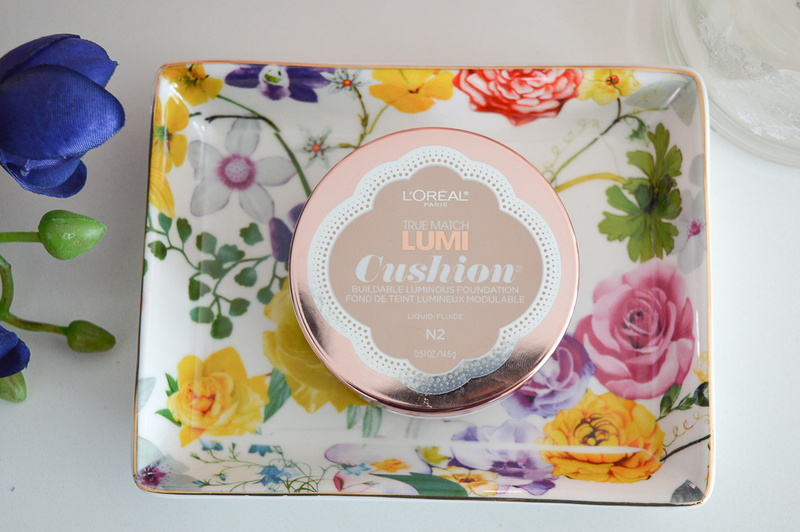 The L'Oreal Lumi Cushion has changed all that. 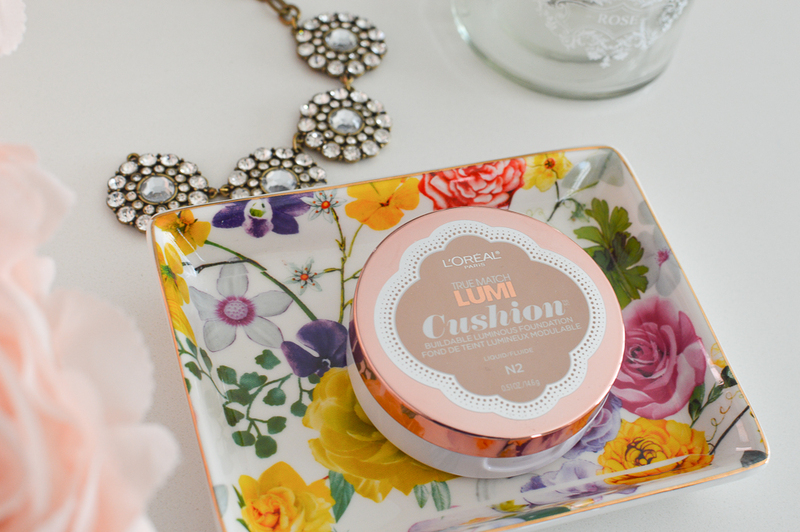 This Lumi Cushion retails for $25 in Canada, which is a lot less than most cushion foundations on the market. There are eight shades for you to choose from and I know you'll find your true match!